Celebrating the future Mr. and Mrs.
Bridget and I had been planning the visual journey we would take for her wedding for quite a few months before I ever got to meet Russell. Little did I know they also had a secret child they didn't tell me about that I would be meeting the day of their engagement shoot - Zelda! 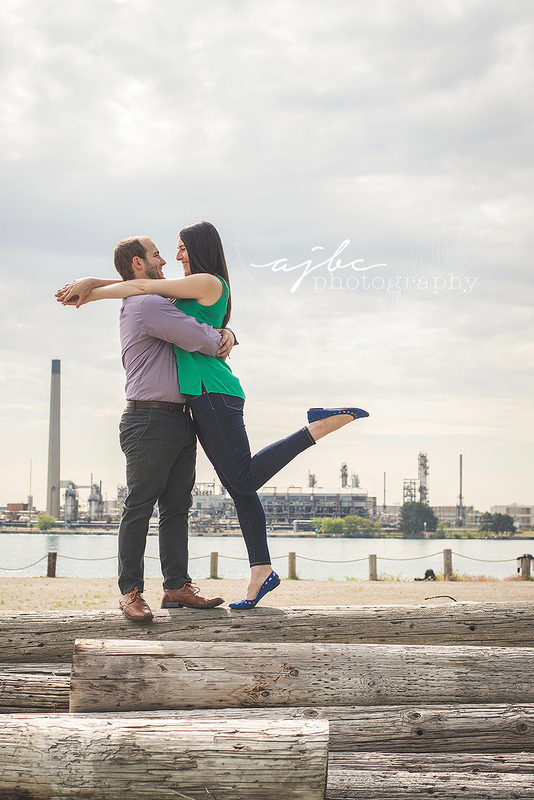 Geometric shapes was the theme for their wedding, but they also love the outdoors, so I took them to the Blue Water River Walk in Downtown Port Huron. It was the perfect mix of both. The tunnel which created some stunning angles and shapes with the highlights and shadows, and then the nature areas that are fairly new to the area. We basically just went on a casual walk, stopping and grabbing fun shots when we saw something that caught our eye. When I say the process is natural and fun, I mean it, so stop being so nervous, guys! I LOVE couples that I don't have to direct, that I don't have to explain what it looks like to like each other. Sure... I can help you a little but I can't MAKE you be ridiculously adorable with each other if you just aren't, and Russell and Bridget were pretty stinkin' cute with each other so that worked out nicely! And Zelda, oh my goodness, what a good girl! Since we were photographing their wedding (one of the last two for this year, and I'm currently not booking more- heads up!) Bridget was unsure about getting engagement photos as well, but I told her, you're going to be happy that you have beautiful portraits of the two of you together, natural, the way you are every day, not in fancy wedding attire. I am SO glad they did this! Their Wedding portraits are gorgeous too (hopefully you guys will see those soon!) but these show off their personality and tell their story on an every day level, which I love. 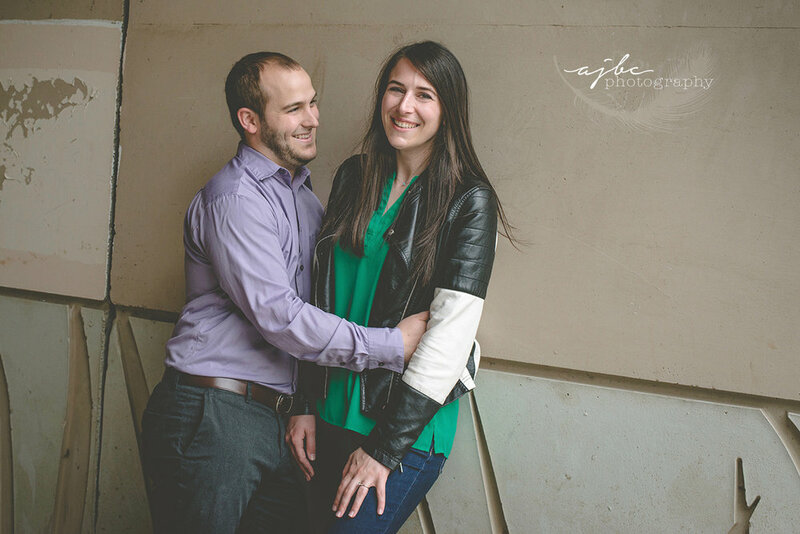 So now, let's go on a visual journey of what they looked like right before they said I Do! 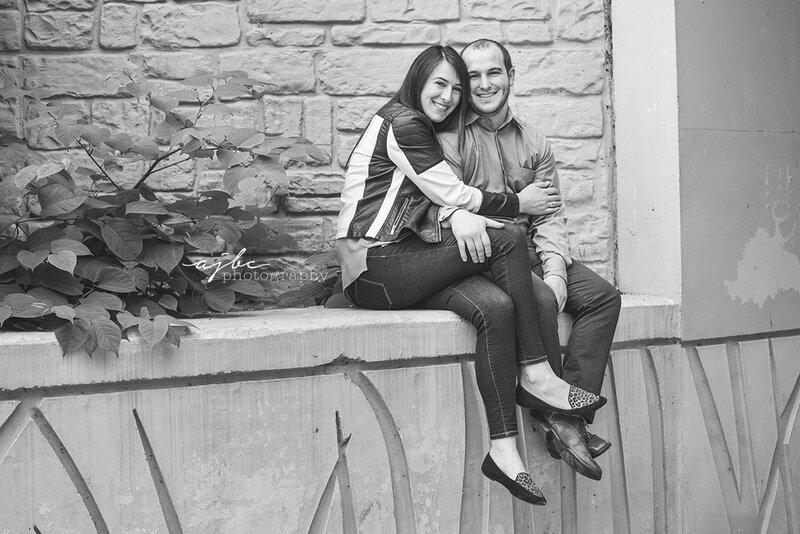 For another adorable couple in Downtown Port Huron, check out Corey & Erica's Engagement Session! 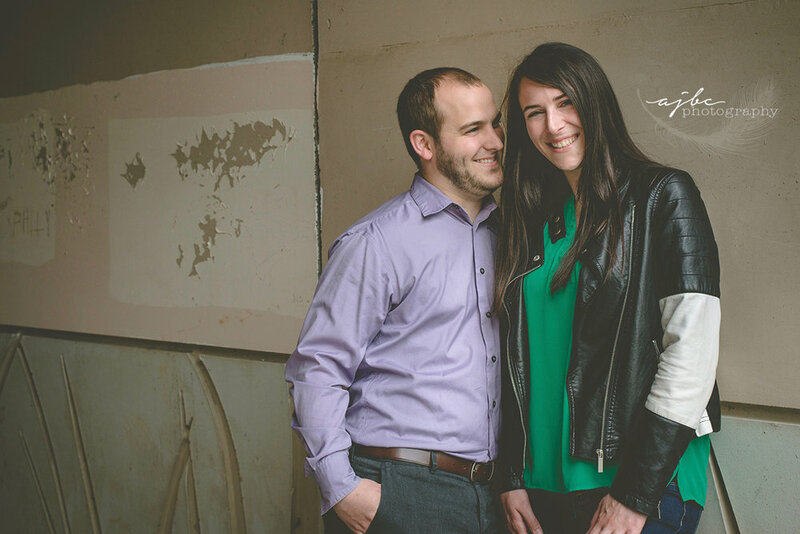 If you like this fun outdoor feel, check out Chris & Becca's Engagement Photoshoot!